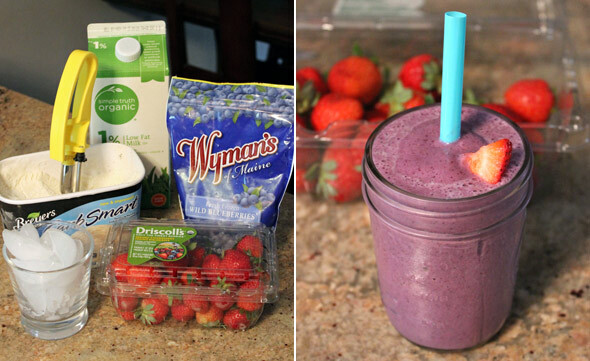 Place all ingredients into a blender and blend until nice and smooth. Enjoy your smoothie! You can double the ingredients and make as many servings as you like. Fresh berries work best and you can use any kind of berries you like. Mr Breakfast would like to thank beatlesluver for this recipe. Recipe number 2747. Submitted 2/3/2010.